You want what's best for your child. Hopefully, your child's educators want the same thing. Teaming up to create an IEP (individualized education program) should help, but only if you're able to advocate for your child's needs – and to do that, you have to learn the language of IEPs. The specifics vary, but a lot of the lingo and concepts are used universally. Sometimes called PLAAFP (present level of academic and functional performance), PLOP is the term you'll often hear or see near the start of an IEP meeting. It's an assessment of how the child is currently doing in school, both in terms of academic achievement and general skills. Basically, this is a snapshot of your child's current status as a student. Mainstreaming means putting your child in a general education (or "typical") classroom all day or for part of each day. He or she may be pulled out to go to special education classes occasionally. Inclusion, by contrast, means placing kids in a general classroom all day. Special education teachers may come into the classroom to work with special needs kids. If your child is a candidate for special education, expect to hear the term LRE come up frequently. Basically, this principle means that kids should spend as much time with their mainstreamed peers as possible, and a child should only be removed from regular classes for as much time as is absolutely necessary. If educators suggest your child is eligible for ESY services, they're generally talking about special summer programs. ESY services aren't the same as summer school. This is a catch-all term for changes that will help your child learn more effectively. For example, a child who struggles to read test questions might be given test sheets with fewer questions per page or be allowed to have their test questions read to them by an aide. IDEA is a federal law that guarantees free and appropriate public education for kids with special needs. Because IDEA requires that your child be given an education appropriate for his or her needs, you have the right to due process – basically the right to lodge a formal complaint – if you feel your child's IEP isn't suitable. IEP meetings are daunting even for parents who have been through them before. 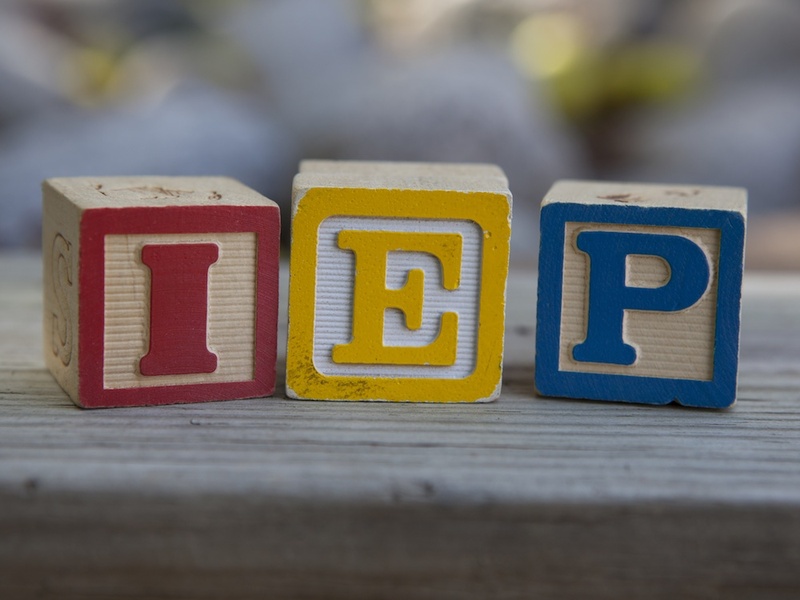 Prepare yourself by printing or writing down a list of IEP terms and their definitions to use as a reference, but also feel free to ask for clarity about any concept you don't understand.